54,246 AMERICAN MILITARY PERSONNEL LOST THEIR LIVES IN THE KOREAN WAR. 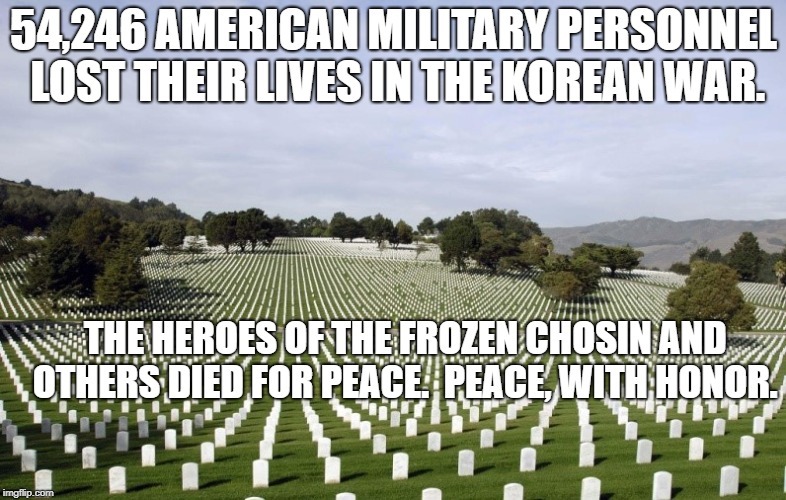 THE HEROES OF THE FROZEN CHOSIN AND OTHERS DIED FOR PEACE. PEACE, WITH HONOR.